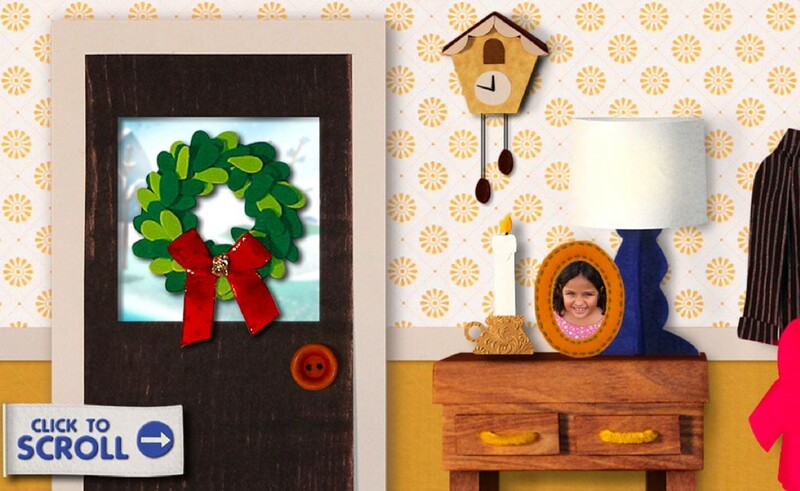 Pre-school TV channel Sprout turned to I-SITE to create a fun campaign for the 2013 Holiday season that would feature an email and microsite. The goal of the program was to raise awareness of Sprout’s Kindest Kid contest with business partners and increase contest votes. 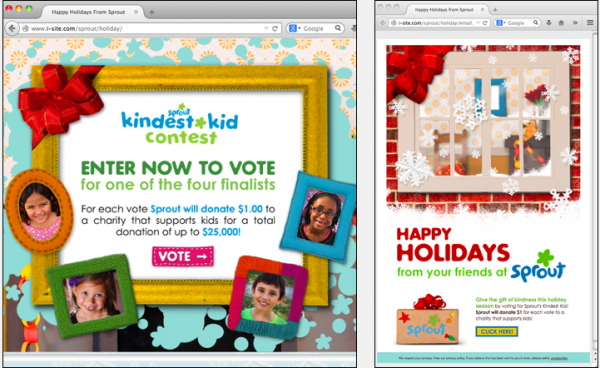 For the overall campaign, the I-SITE and Sprout team came up with the concept of an illustrated home that would feature photographs of the kindest kids finalists and a call to action to vote for the winner. The website built in HTML5 uses parallax scrolling and features an array of original illustrations by Monica Marziani. 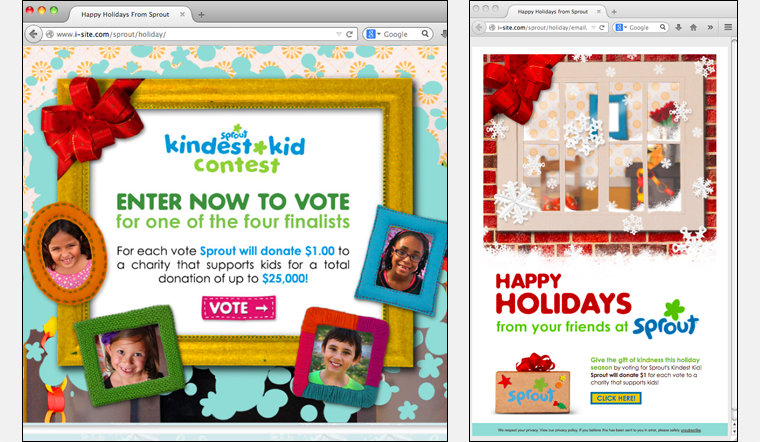 Visitors to the microsite scroll from the front door of the home to the living room fireplace where there is an an invitation to vote for one of the four Kindest Kid finalists. On the journey through the home photographs of the finalists appear along with a number of fun holiday elements. I-SITE also designed and developed an HTML email that links to the microsite. The campaign was a great success for Sprout and received accolades including being recognized as Best Family Website at the 2014 Internet Advertising Competition Awards.